For cemetery managers who want to increase efficiency and cut costs! Now only one operator is needed to place and lower even the heaviest concrete! The vault lowering device shown is an efficient, safe and easy to assemble. Made of quality materials and constructed with great care. 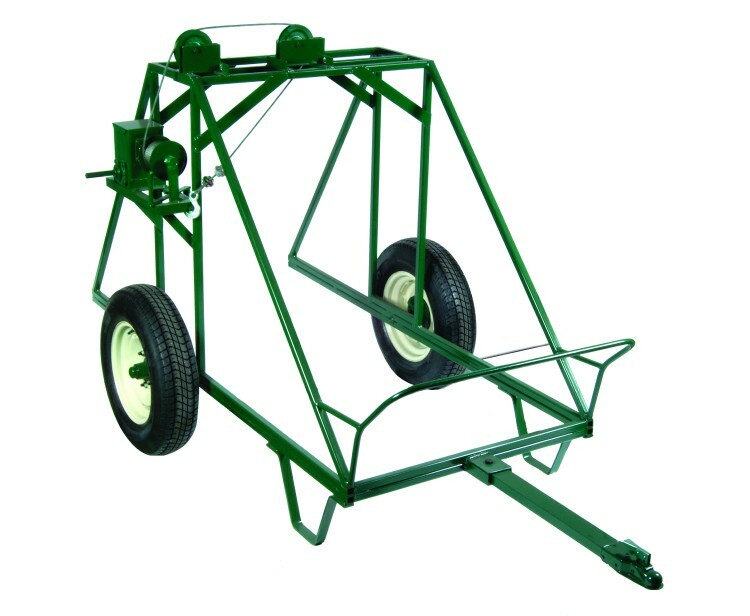 Its lightweight design helps make the set up very simple and easy to handle (designed for one man), yet extremely sturdy. Permits an above ground seal and reversible ratchets for fast attachment and ease of use. Bronze bushings in lid clamp roller self lubricate. Two position clamp for fast and slow operation with revolving handle. Can be used from either end of the device. High quality cables with swaged ends for safety and to also make it easy to handle. Cable drums are made of sturdy cast aluminum. Stands and tubes are available in stainless steel. This concrete lid placer is designed so the operator may choose lifting lids by the long handle or by simply turning the large hand crank which is attached to a powerful gear head. 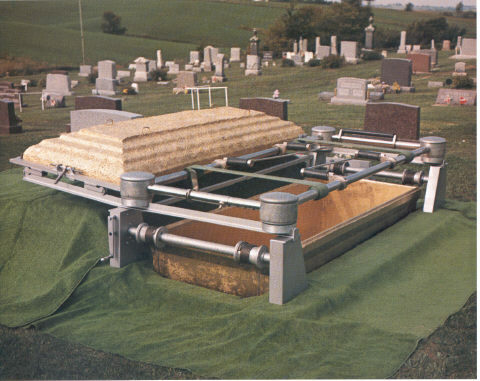 Lids can be lifted completely out of the grave. With this placer, lowering is accomplished entirely with the hand crank - a method prefered by many operators. Wt. 65 lbs. Standard chain length 17 feet.